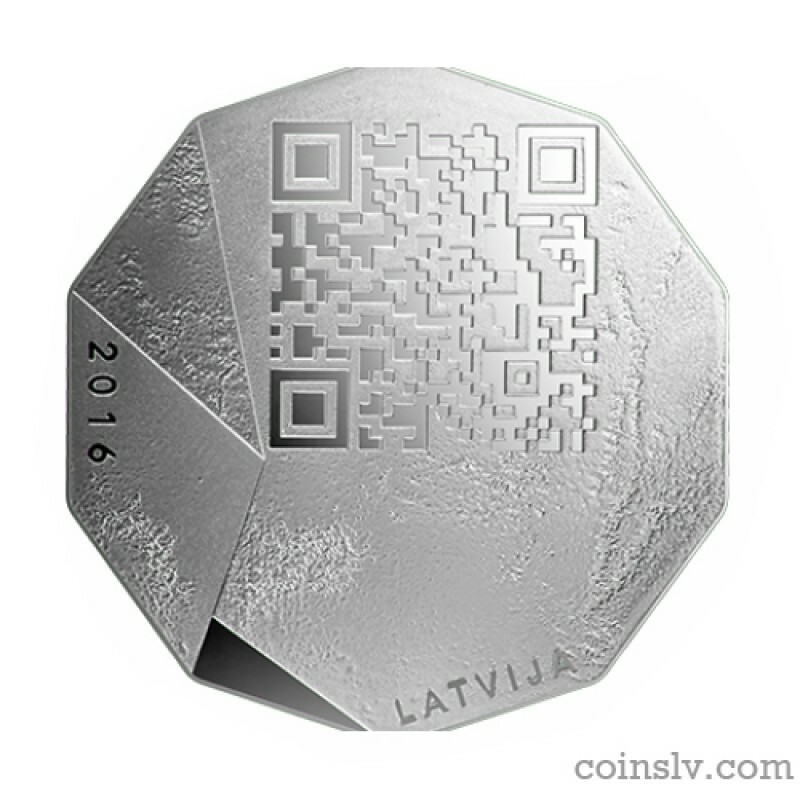 Latvia 5 euro 2016 "National Entrepreneu"
Obverse: A QR code containing a message for the coming generation is featured at the top, with the year 2016 on the left and the inscription LATVIJA at the bottom part of the obverse. 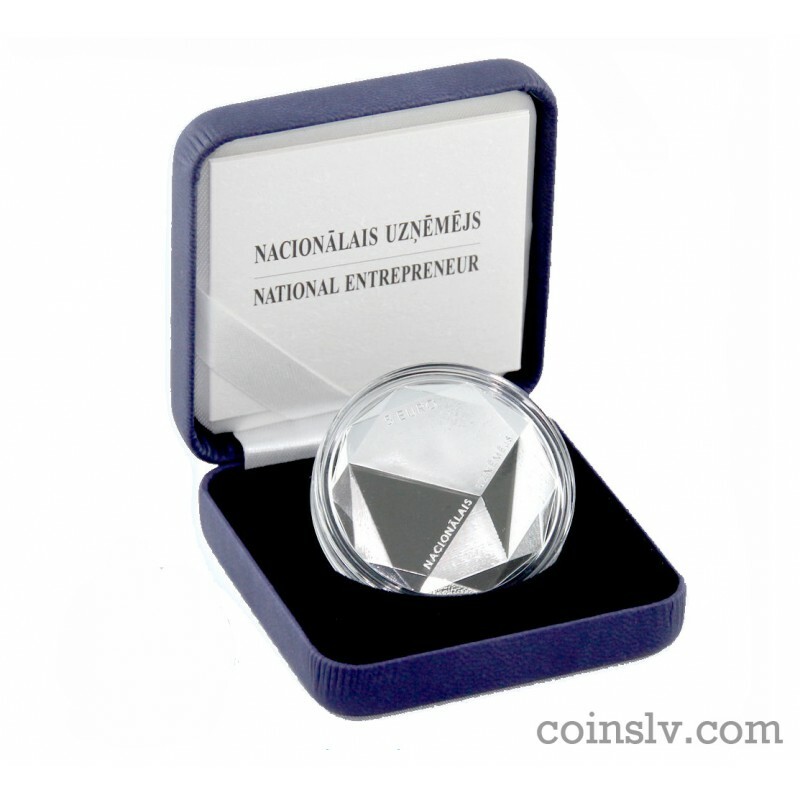 Reverse: The reverse features 25 raised facets that symbolise the years devoted to entrepreneurship. The inscription 5 EURO is placed at the top, with the words NACIONĀLAIS UZŅĒMĒJS running slantwise underneath.